This private villa with swimming pool set in its own gardens, shadowed by tropical plants and flowers offers: Three double bedrooms,that all can be made as 2 singles, two with en-suite and a further bathroom. Two of the bedrooms are ground floor; one has French doors leading to the veranda. The master bedroom is upstairs with doors to a very large sunny terrace, where the views are of the Mar Menor. The lounge is spacious with a fireplace, and there is under-floor heating should it ever be required in winter. There is a separate dining area and a well-equipped kitchen with French doors leading to a terrace. The villa is approx. 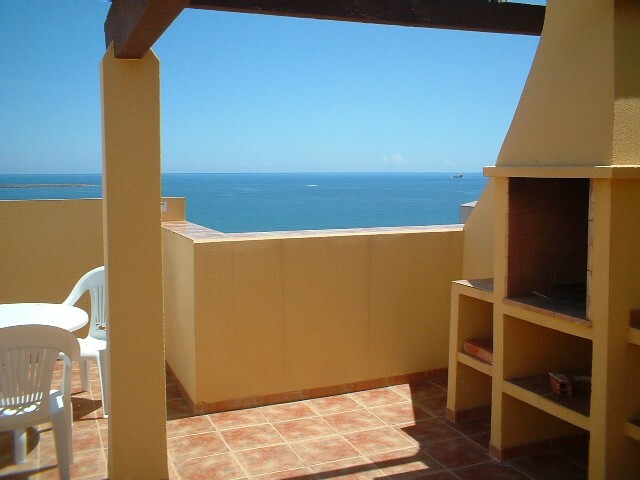 2 minutes walking distance to the beach, shops and restaurants. Activities include water sports, sailing, diving, fishing, tennis, horse riding, golf and much more…. 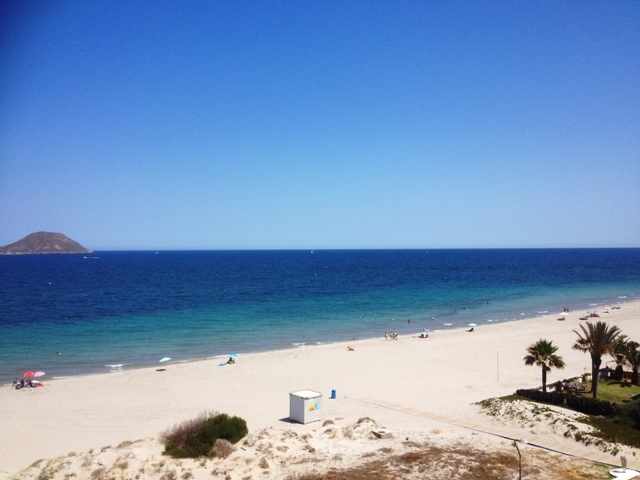 The beaches along Murcia are simply outstanding beauty. 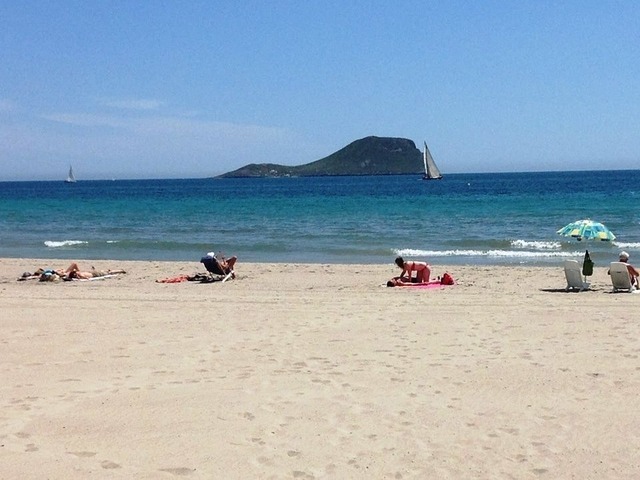 It is not just the spectacular selection of blue-flag beaches and history of Mucia that attracts many visitors to this region, it also boasts a spectacular coastline and one of the most famous of its stretches is The La Manga Strip. This unique up and coming area situated on the Costa Calida or The Warm Coast is an ideal location for sea lovers and with the Mar Menor on one side and the Mediterranean on the other it almost feels like an island. 50 inch widescreen plasma high definition SMART TV with Internet (WiFi) with English free-to-air satellite channels, including SKY NEWS,BBC1, BBC2, ITV1, C4, C5, etc. Free Wireless internet access is available * Subject to availability and compatibility with customer’s equipment. Patio Furniture & Sunloungers on Pool-side Terrace. Barbeque Facilities. 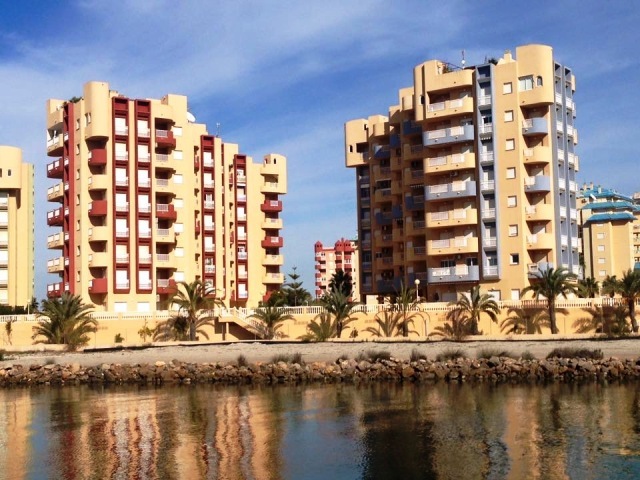 This entry was posted in Holiday rentals Region of Murcia, Holiday villa in Veneciola, Privately Owned Rental property, Self catering holiday apartment on La Manga Strip, South East Spain, Uncategorized, Villa Rental La Manga Strip and tagged cottages in Individual villas, Holiday apartments, houses, La Manga, La Manga Strip, Mar Menor, Murcia, Spain, villas on March 6, 2016 by Tony Preston ( La Manga Holiday Rentals ). 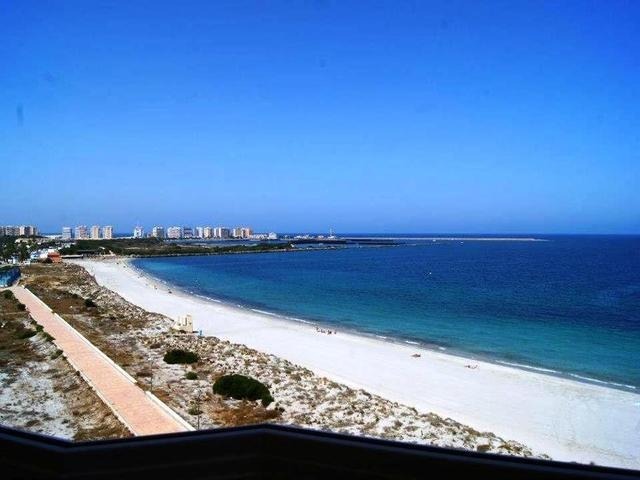 Penthouse Mar Menor in an incredible beach front location with breathtaking beach and sea views. 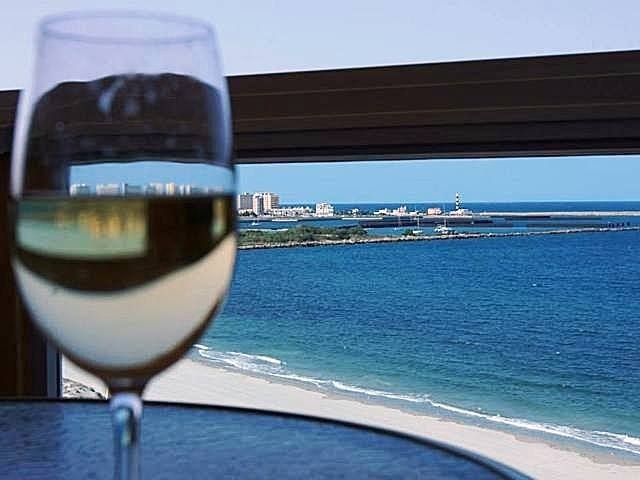 This entry was posted in Apartment Rental La Manga, Family Vacations La Manga del Mar Menor, Holiday Lettings La Manga, Mar Menor Beach Apartments, Penthouse Sea Views La Manga Strip, Privately Owned Rental property, Spain Beach Apartments Playa Principe Beach Apartments, Tomas Maestre marina, Uncategorized and tagged #holiday rentals, accommodation, accomodation, ‪#‎cormoran‬ ‪#‎gaviota‬ ‪#‎amanecer‬ ‪#‎running‬ ‪#‎lamanga‬ ‪#‎cabodepalos‬ ‪#‎cartagena‬ ‪#‎murcia‬ ‪#‎españa‬, Costa Calida, holiday home La Manga del Mar Menor - Cartagena (Cartagena - Murcia), holiday rental, holiday villa, lodging, Mediterranean Beach Penthouse, rent, rent apartment, rent villa, Rental, rental property, travel house, vacation rentals, vacation villas, Villa, villa rental on February 9, 2016 by Tony Preston ( La Manga Holiday Rentals ). 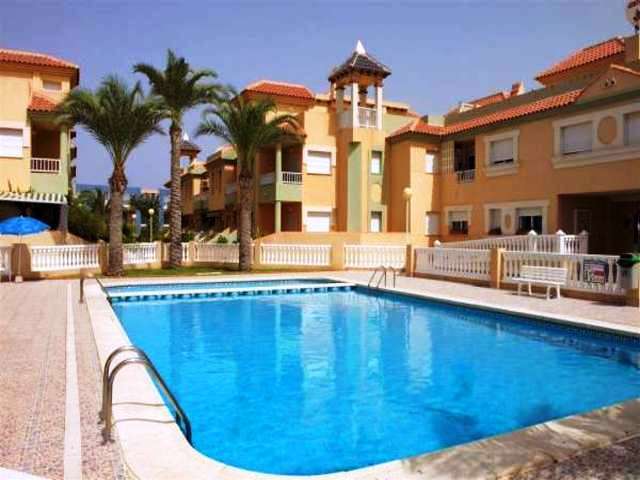 Below are listed are some great Murcia holiday rental properties currently available. 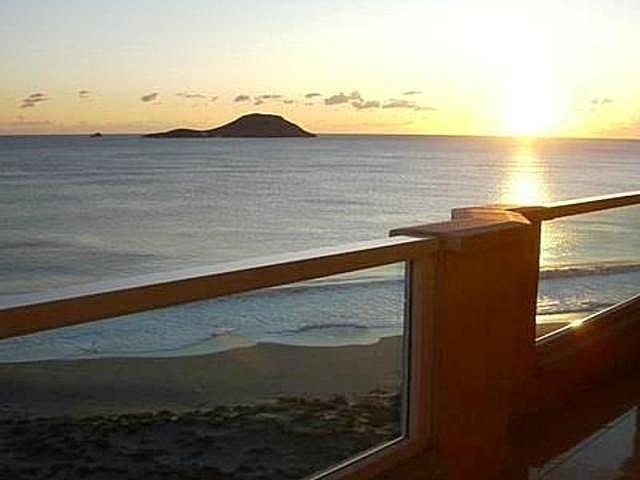 This entry was posted in Accommodation with Communal Pool, Affordable Beach Resort Spain, Apartment Rental La Manga, Apartment Short Term Rentals, Apartments & Penthouses with panoramic sea views, Family Holidays - Beach List - Childfriendly, Family Holidays in Murcia, Murcia, Penthouse Sea Views La Manga Strip, Playa, Playa Principe Villas La Manga, Private holiday lets la manga spain, Privately Owned Rental property, Self catering holiday apartment on La Manga Strip, Spain Beach Apartments Playa Principe Beach Apartments, Spanish Penthouse with a great sea view, Spanish Residency Holiday Rental Property, Tomas Maestre marina, Urbanización Playa Principe and tagged Accommodation - La Manga, accommodation la manga spain, apartments for holidays, cheap accommodation la manga, condo for rent, Family Holidays, home holidays, hotels la manga, la manga hotels, Mar Menor penthouse, Murcia beach apartments, Murcia Hotels, self catering accommodation central location, short rentals, vacation rentals on February 8, 2016 by Tony Preston ( La Manga Holiday Rentals ).